Schrier’s victory is a big win for Democrats. Washington State's 8th Congressional District has been consistently held by Republicans, though Democrats have been eyeing it for years. Schrier is one of the more than 100 women elected to join Congress after this historic midterm election cycle. At least 98 women were elected to the House of Representatives – 84 Democrats, 14 Republicans -- and 12 will join the Senate -- 10 Democrats, two Republicans. "Good Morning America" followed Schrier during her campaign in July for The Women Who Run series profiling first-time female candidates. A mom and pediatrician for nearly two decades, Schrier participated in the local Women's March after President Donald Trump was inaugurated, and regularly called her congressman to express her concerns with the new administration in the first few weeks and months of 2017. Dr. Kim Schrier is running for Congress in 2018. Send “GMA” your Why It Matters video about which issues inspires you to vote and explore our midterms coverage. I am a pediatrician through and through. 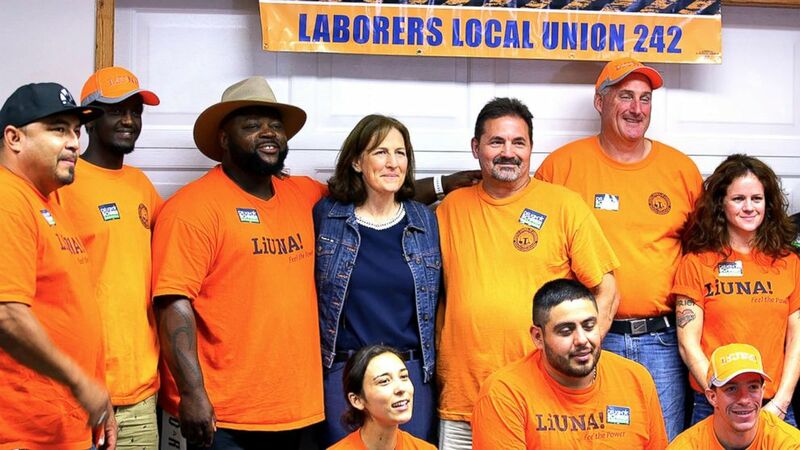 "That was really the last straw, for me, because we all deserve better," Schrier told a crowd of union workers during a campaign event last spring. She talked about needing Congress as a check on Trump, too. 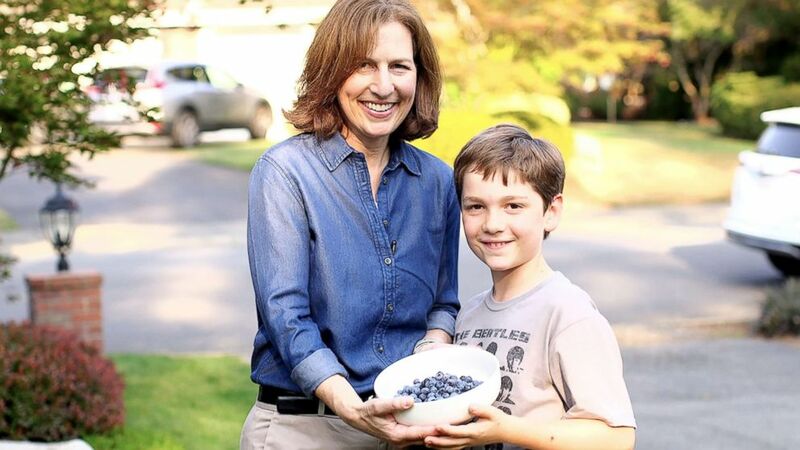 Dr. Kim Schrier with her son in Sammamish, Washington. "But I think this is one of those moments in history when we're all going to look back and think ‘OK, what did we do after the 2016 election?’” she continued. “’What did we do when we saw divisiveness in our country, when we saw attacks on women's reproductive health care, when we saw attacks on our health in general? Were we on the correct side of history?'" "We want a better world for our kids," she said, in reference to herself and the slate of other women who ran this year. "We bring up topics that matter to women and children and families -- like paid family leave, education and health care," she went on. "I've learned that our medical system is really medical non-system," she said. "It is all backwards and inside out... I went into medicine to just help patients be healthy." "Now I go into this having to help them navigate a system," she said lamenting the cost of prescription drugs and the tendency of insurance companies to rely on specialists. 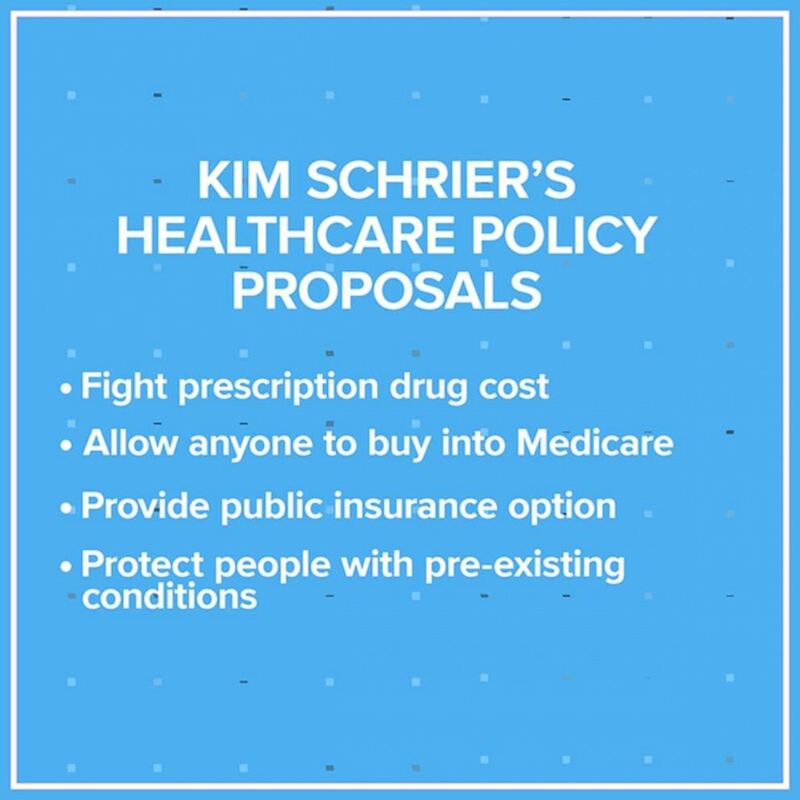 At the start of her campaign she released a multi-pronged health care proposal on her website. 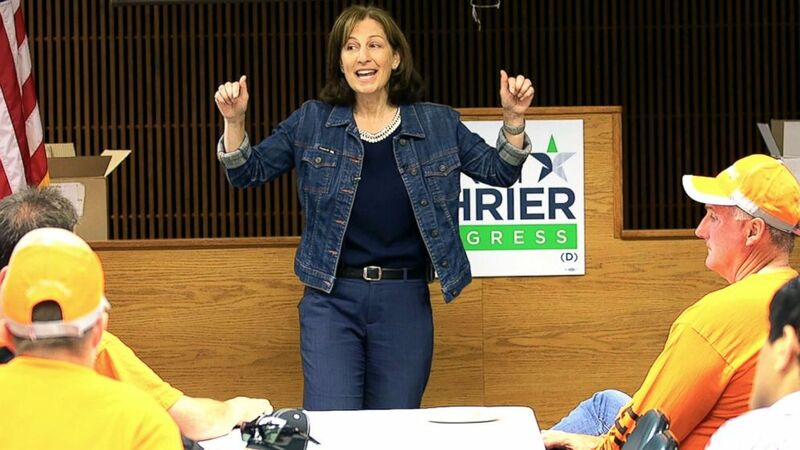 Dr. Kim Schrier campaigning for office in 2018. "Because of my pre-existing condition, my insurance would have been prohibitively expensive [prior to the passage of the Affordable Care Act]," she said. "It is absurd in this country our health care depends on whether we won the employer lottery." 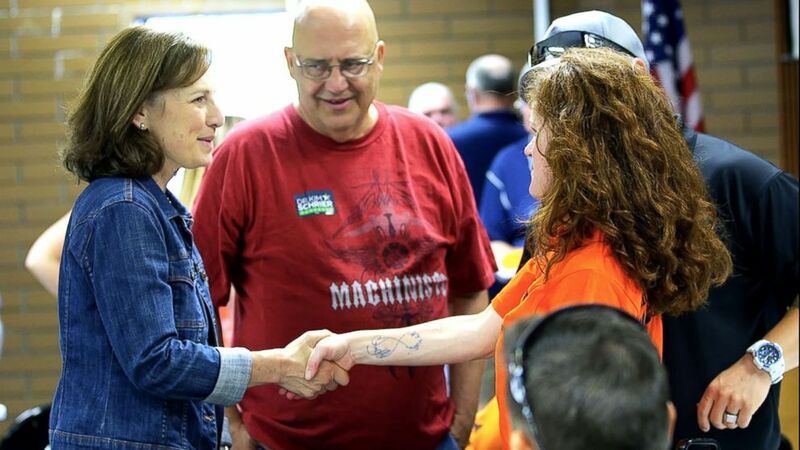 Her constituents are a mix of younger families with ties to the technology businesses in the area, people with connections to old and powerful unions -- there are a few major Boeing plants there -- and agricultural communities east of the Cascade Mountains.